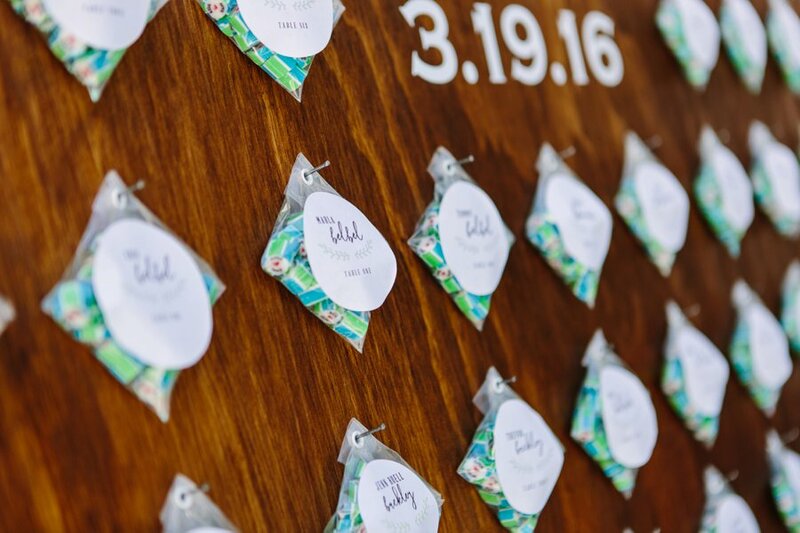 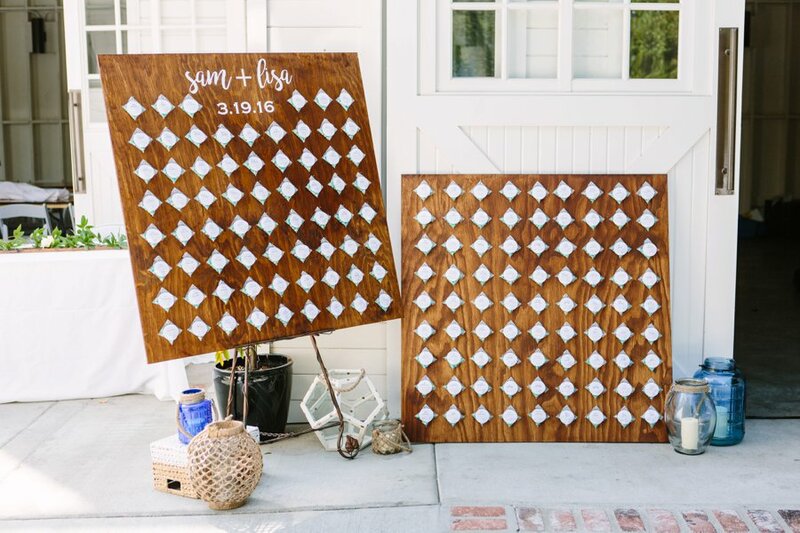 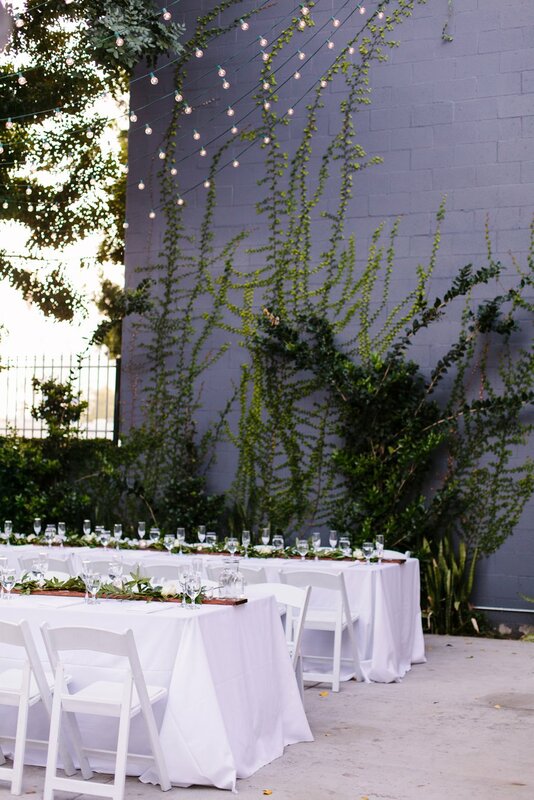 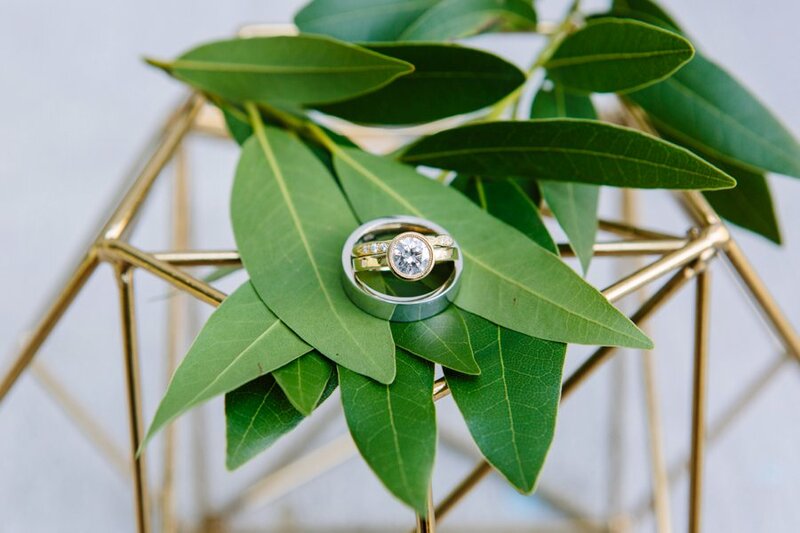 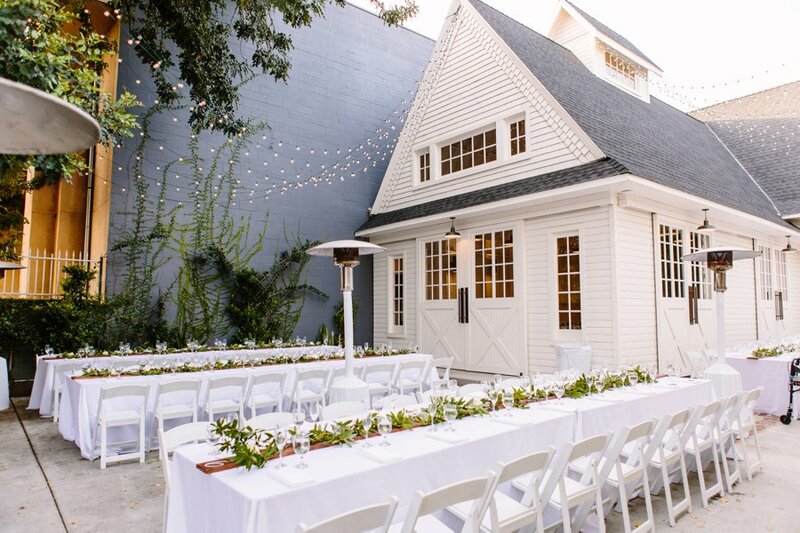 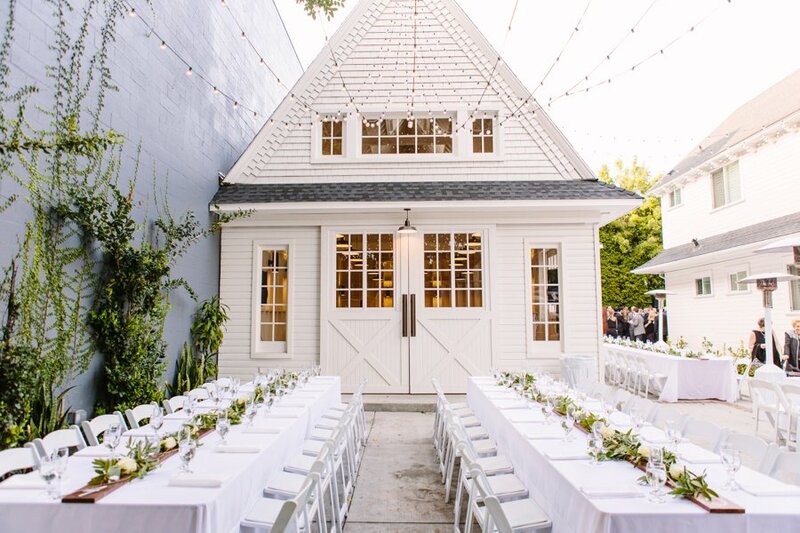 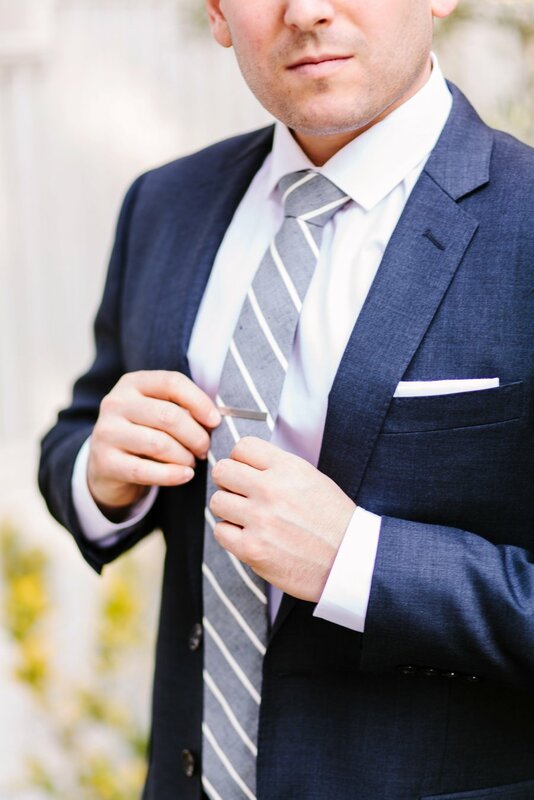 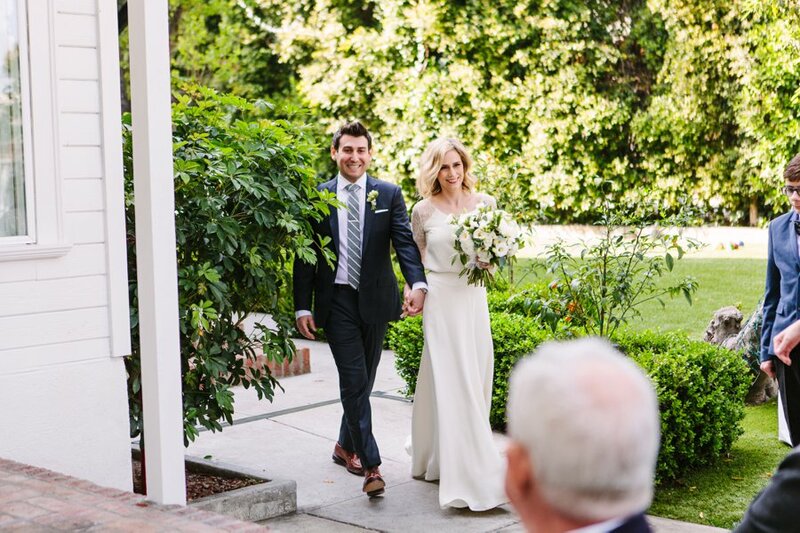 We love when couples break the “rules” on their Los Angeles wedding day, and create something special and unique to them. 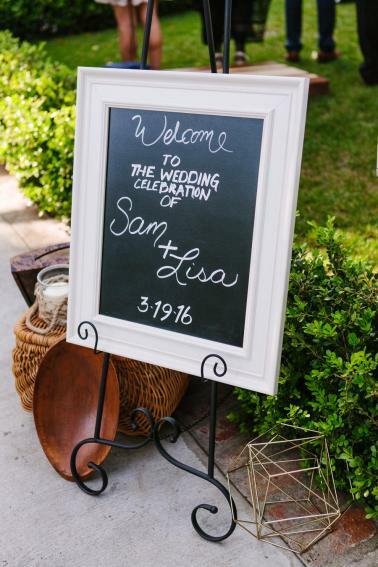 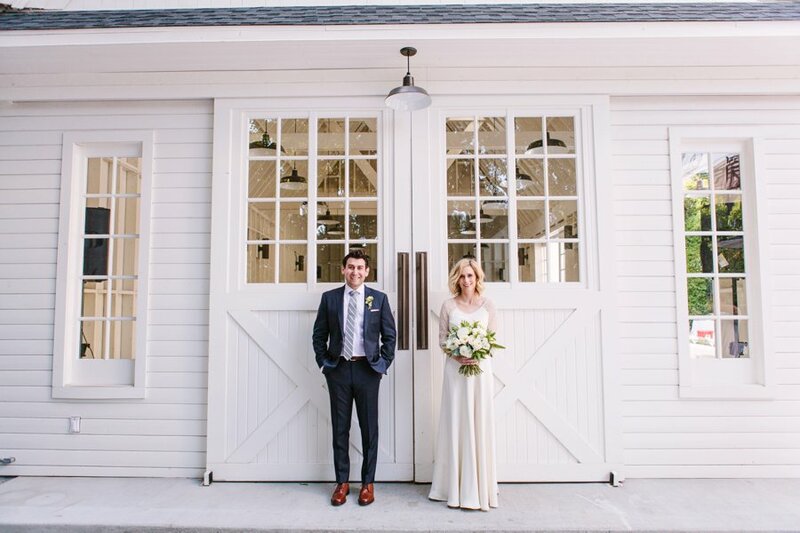 Lisa and Sam wanted an intimate ceremony with a large celebratory reception, and we absolutely love how it all came together. 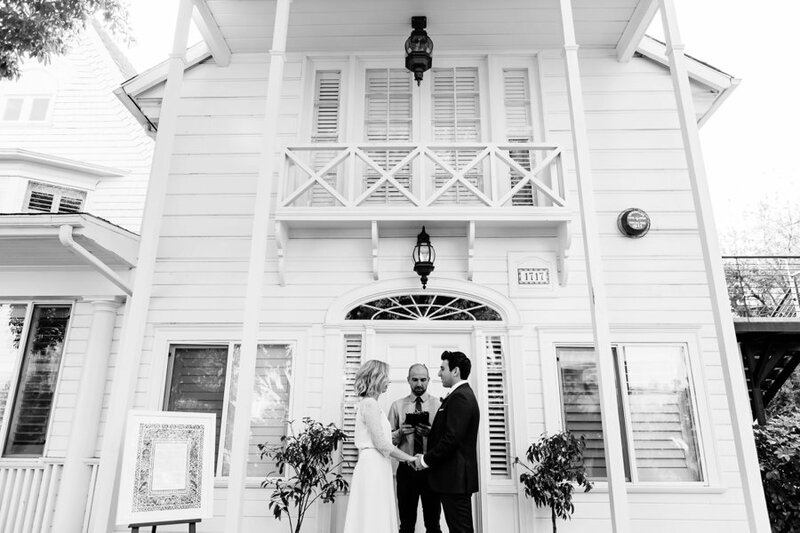 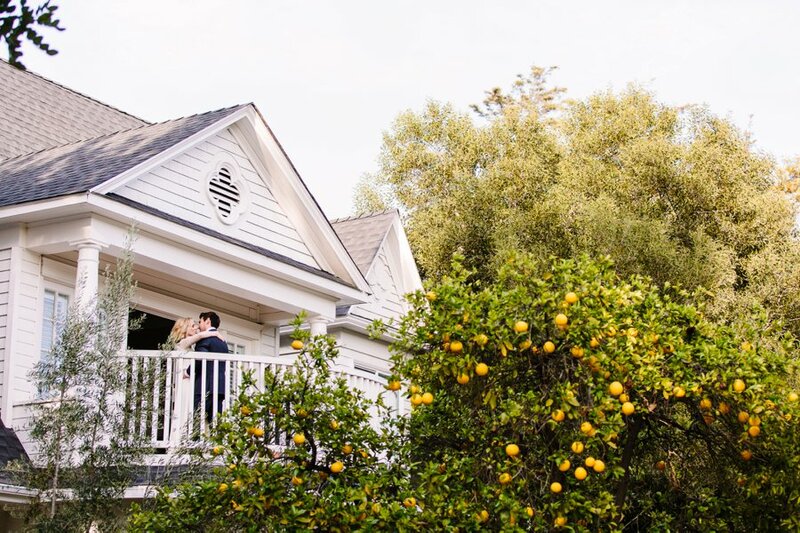 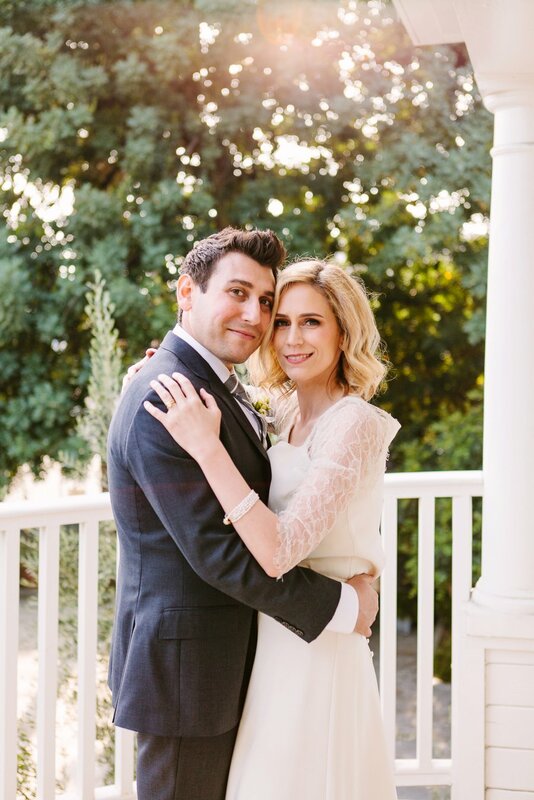 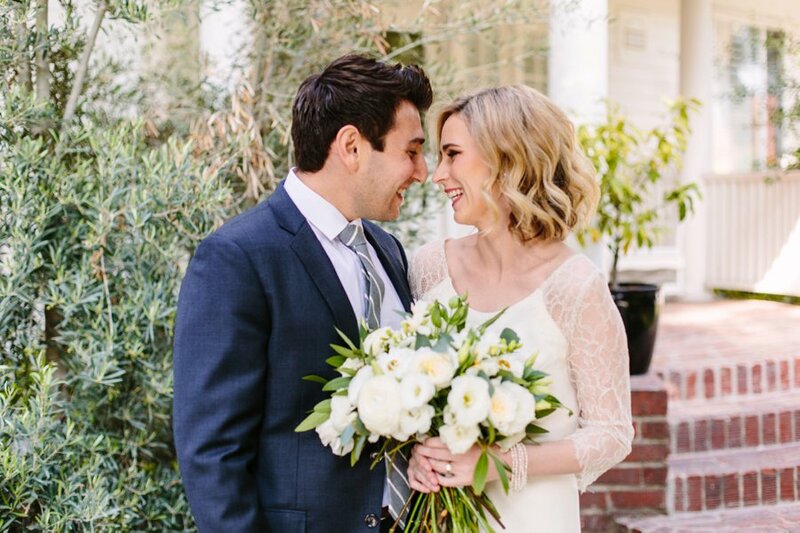 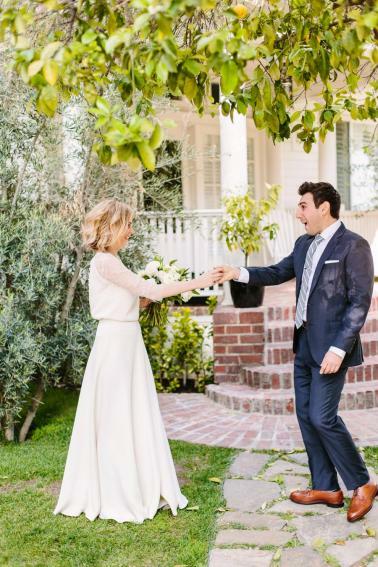 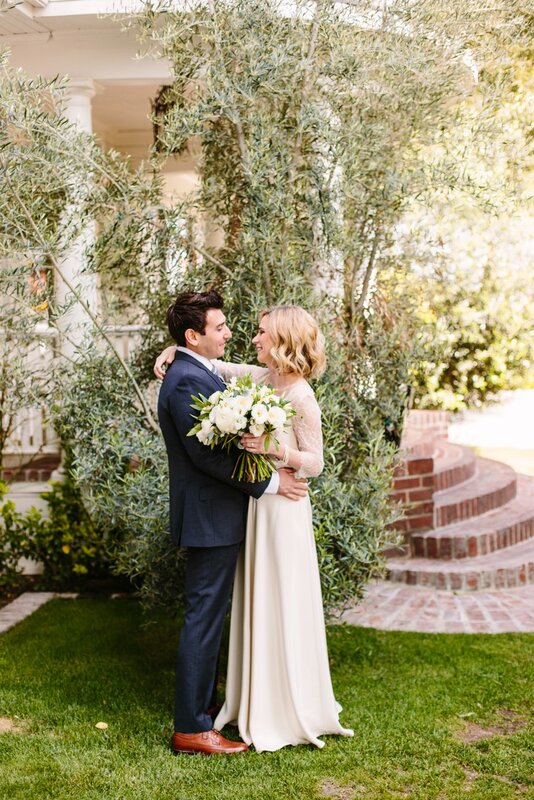 These two exchanged their vows on the steps of the Lombardi House in Los Angeles, CA with fewer than 25 friends and family serving as their witnesses. 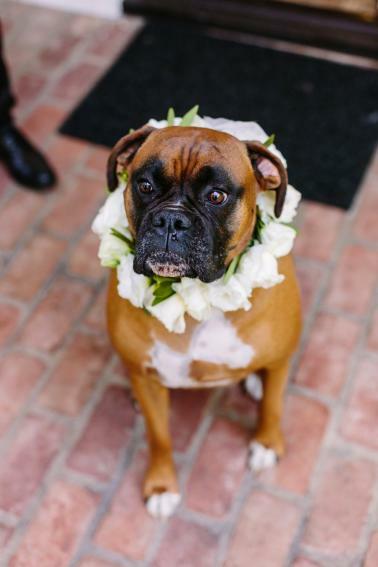 However, their precious boxer girl Lucy definitely made a cute canine witness for their “I Dos”! 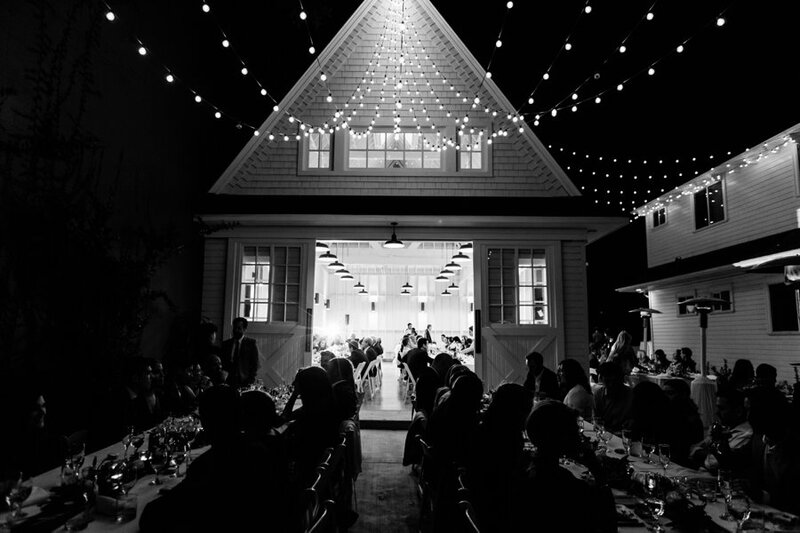 After the ceremony, they celebrated with a larger party in a modern, whitewashed bard. 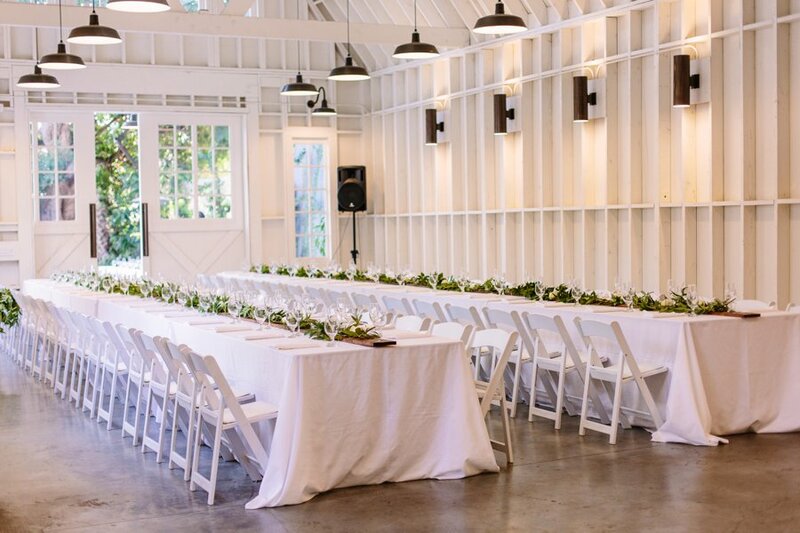 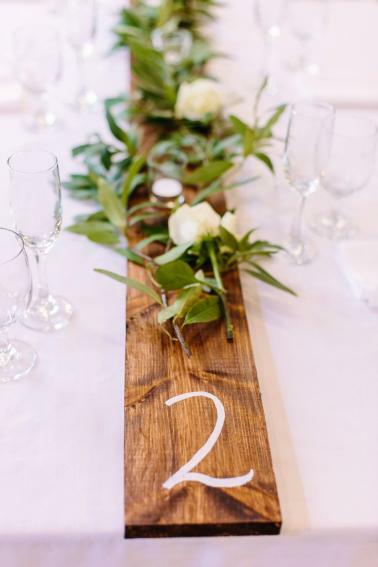 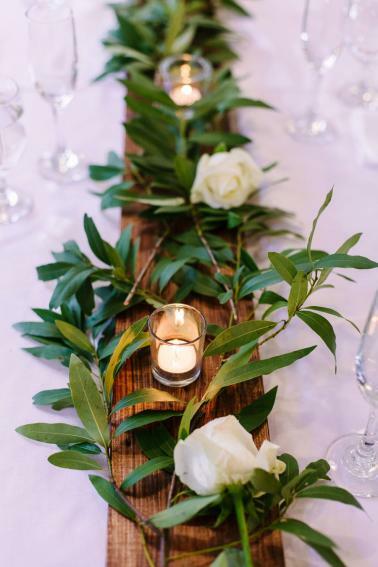 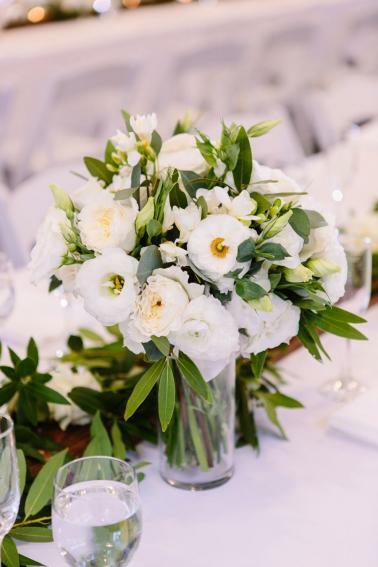 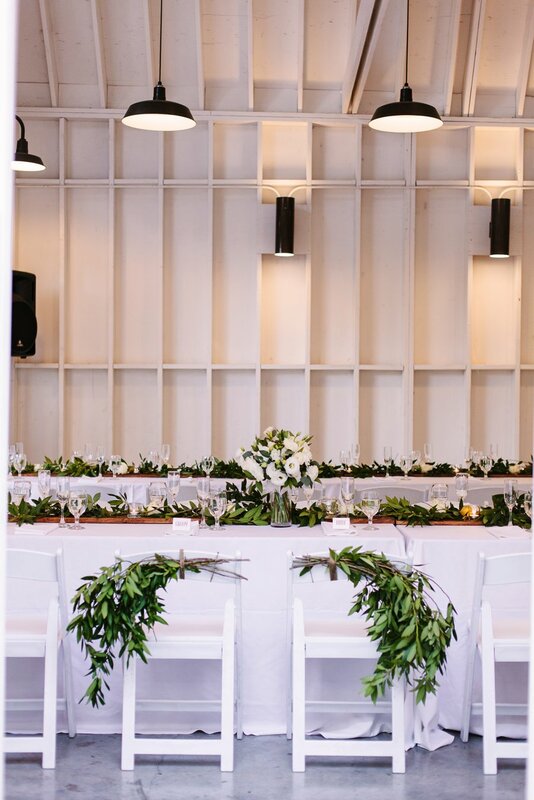 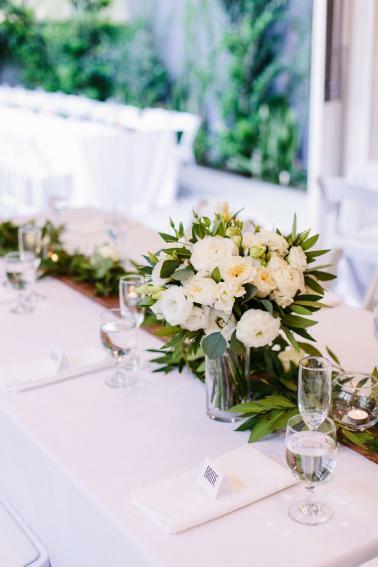 Their laid back and organic style flowed throughout the day with the garlands running down the tables illuminated by the soft glow of candlelight. 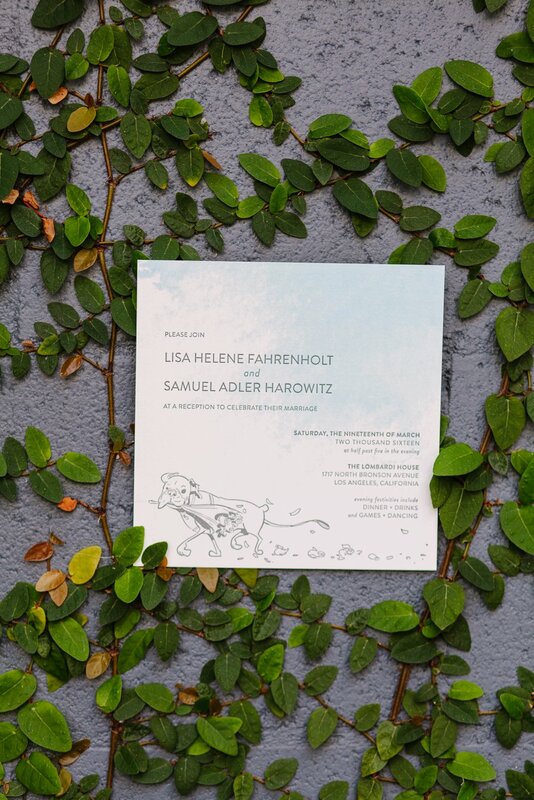 Harmony Creative Studio the perfect natural organic design for this couple, and it came together in a simple and beautiful way. 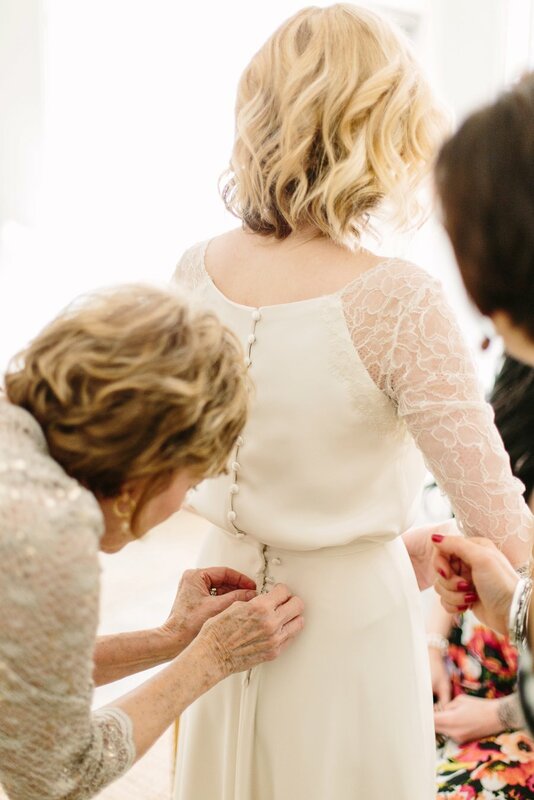 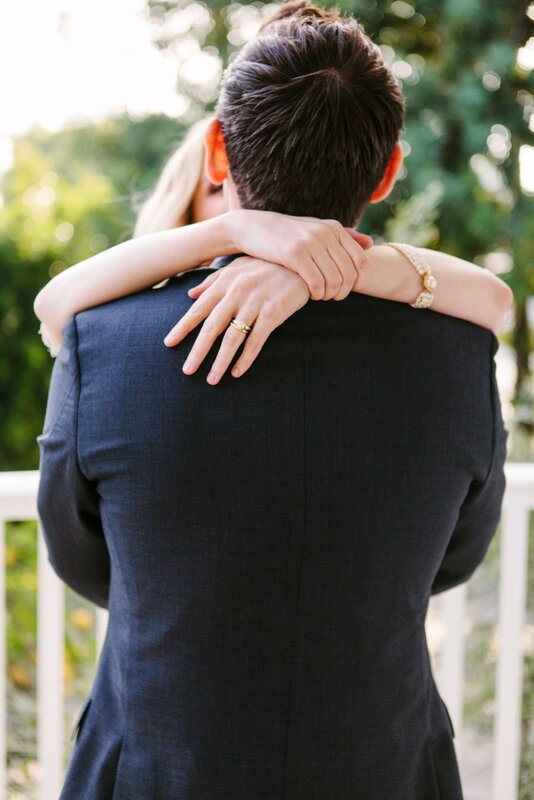 We hope you enjoy the beautiful images and story captured by Laura Pedrino. 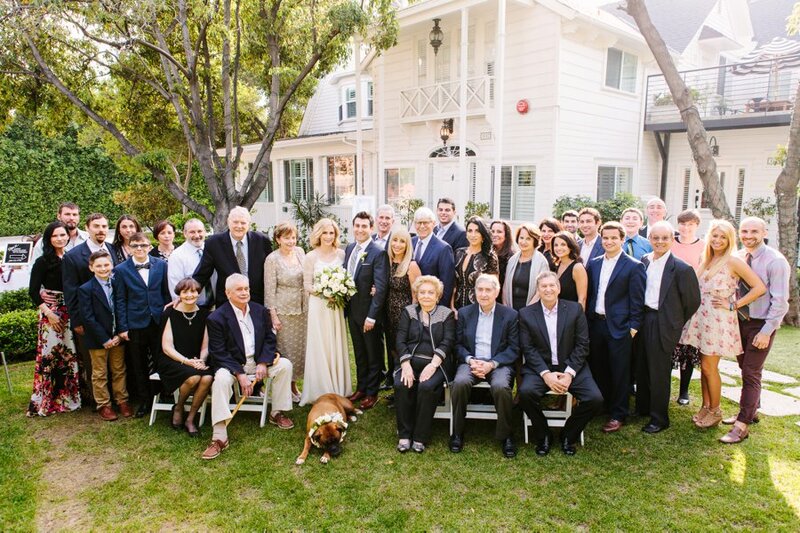 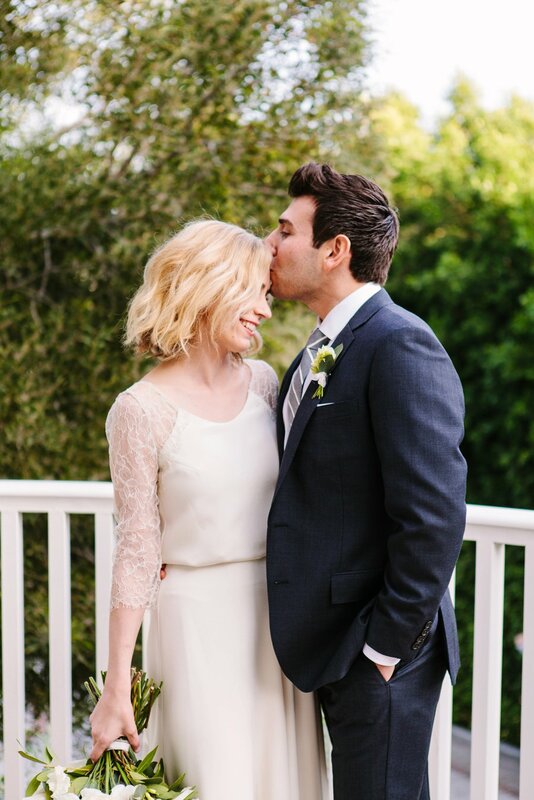 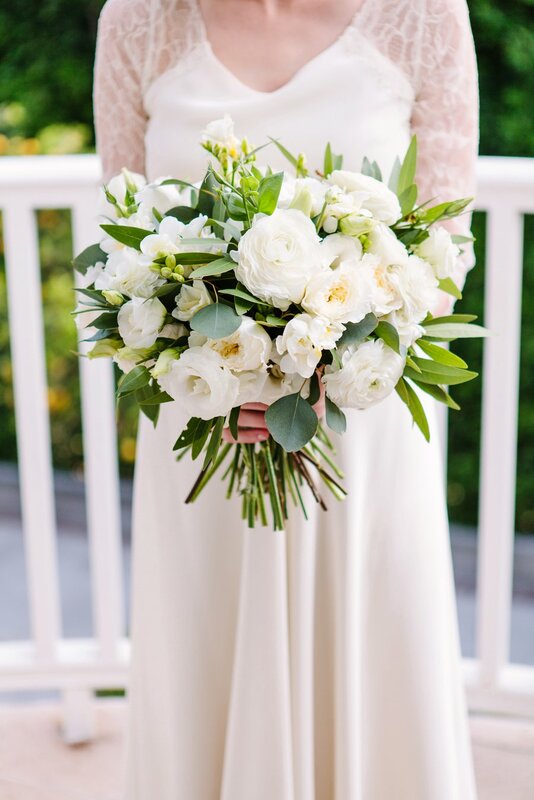 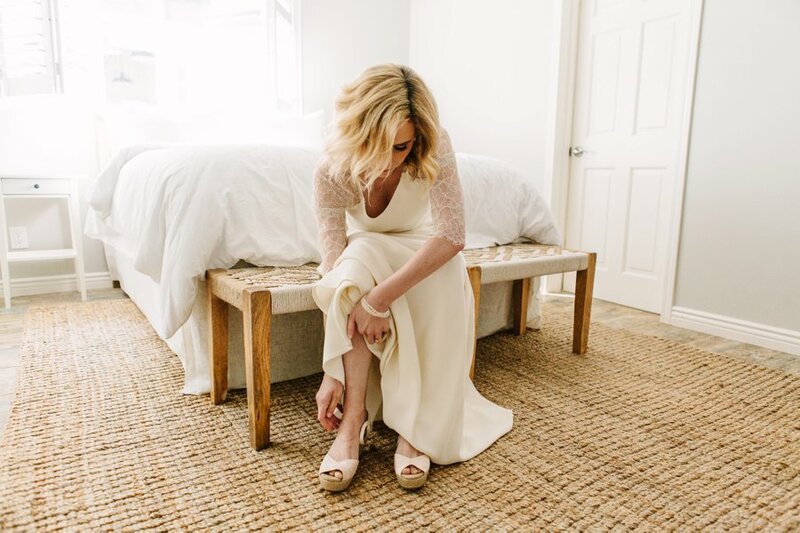 She truly captured the intimate and relaxed feel of the day! 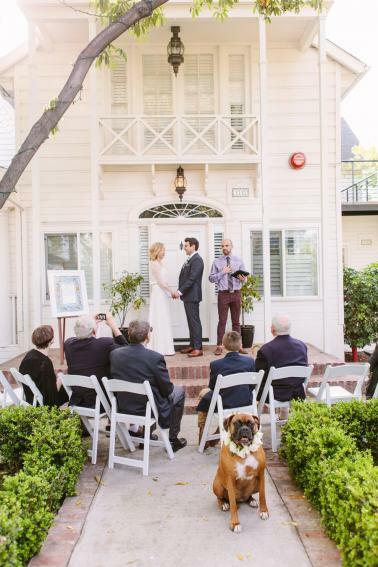 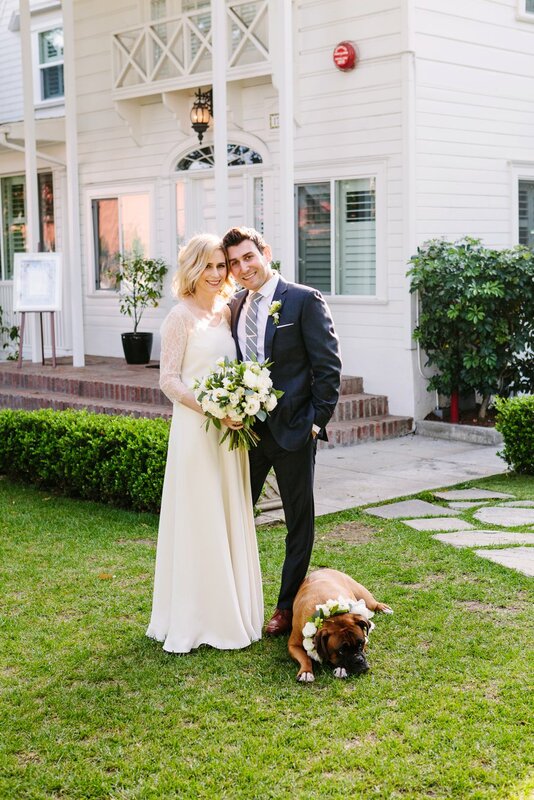 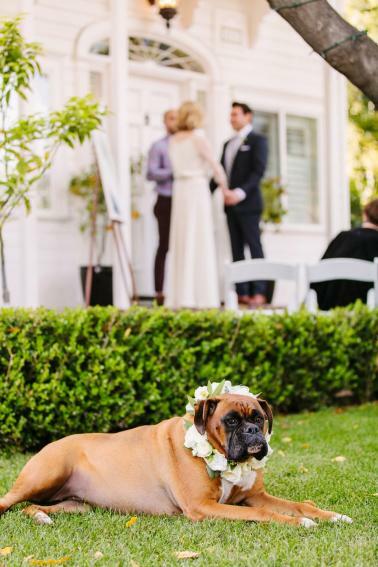 And if you haven’t noticed by now, we are a sucker for cute pups, and we think Lucy the boxer made a perfect wedding guest!